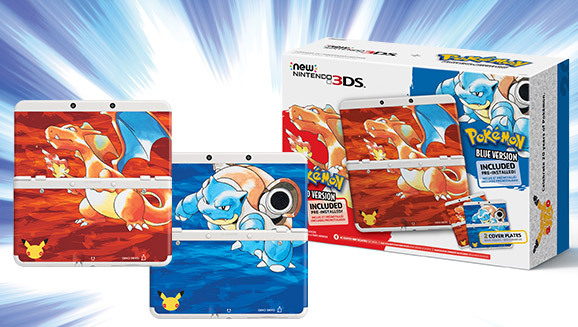 This awesome New 3DS will be released on the same day the originals were released, February 27th. On the same day Pokemon Red, Blue, and Yellow will become available for purchase from the 3DS Nintendo eshop for $9.99 each. Keep checking in for future developments on when and where you can pre-order this New 3DS. Also, check in at the Pokemon 20th Anniversary site for more information regarding other events / promotions they will be doing for the Pokemon 20th Anniversary! Pre-Order sales for the Pokemon New 3DS have gone live at Gamestop follow the link below to reserve yours!